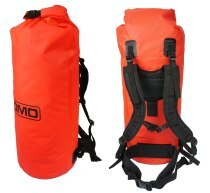 You have to carry/transport your kit 300m, with one hand free to open and close gates etc. Kit should be neatly and safely packed - everything should be securely fastened making sure nothing will fall off when you are walking or travelling. Important parts of the kit should remain dry (i.e. clothes, sleeping bag, food) Wet items should be separated from gear that needs to remain dry. Be able to explain how you would adapt the packing of the kit if it's raining (a wet pack). Your torch and first aid kit should be readily available. Tent. Don’t forget your pegs and a small mallet. Cooker, spare fuel/gas bottle and matches or lighter. Plastic bags for rubbish (also for protecting your clothes and sleeping bag from getting wet in a rucksack). Rucksack / drybag(s) / barrel(s) to pack it all in!